GoPro has shown the world what it’s like to give animals cameras. They make mini documentaries. Really, YouTube it. But what happens when you give a kid their own video camera? Now you can answer that question with Kidizoom Action Cam. If a squirrel can show us life in the trees, a real life human child can probably give us some insight into what their life is like too. 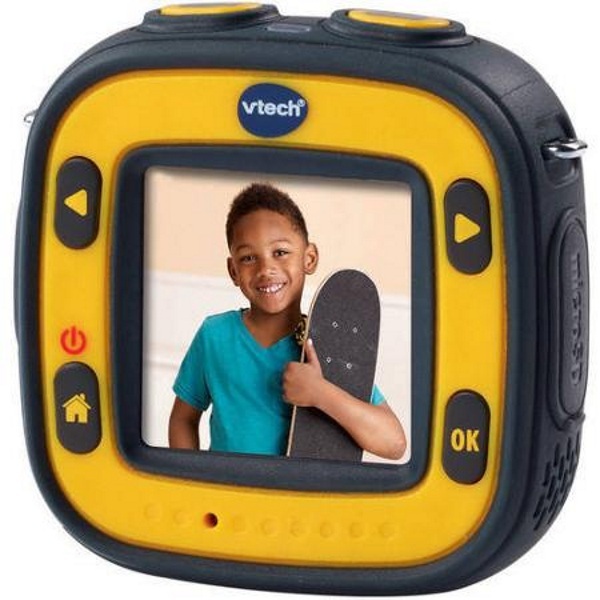 The Action Cam is designed to be a child’s first camera and can take video as well as stills, stop motion and time lapse video. 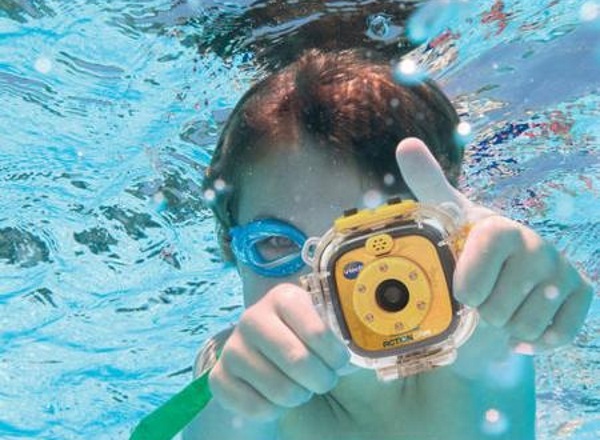 It’s designed for the rough and tumble life styles of children which includes a waterproof case because they will find a way to introduce it to water somehow. The action has a 1.4 inch color LCD screen so they can see their work right away. It has effects, frames, and photo filters to help build creativity. Their art can be downloaded via included USB cable straight to a computer and then shared with friends and family. Or ported into Photoshop or Windows Movie Maker and take their work to the next level. Kidizoom Action Cam is $59.